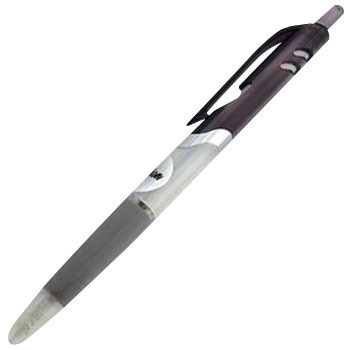 Oil-Based Ball Point Pen, "Tapli Clip 0.5"
Because it is a triangle, it is easy for the handle to hold, it can be ink. This review is about item#60844235. It is easy to grasp. After all it was not something I should buy. It is hard to write even if I wrote it slightly beating down. I will stiff shoulders. I chose by the price, but I am satisfied with writing comfort very much. I have bought repeat. There was a thing that could not be written immediately. The place with the pen hits the finger, it is very easy to write. As expected! It is an impression. I know that cheap things are bad, I regret buying it. It was equal to 100 yen and 4 yen 100 yen. I thought it was styling I saw somewhere, but I tried using it and remembered it. It is very slippery and can not be written if you put it a little. I do not recommend it, but please feel free to disposable.